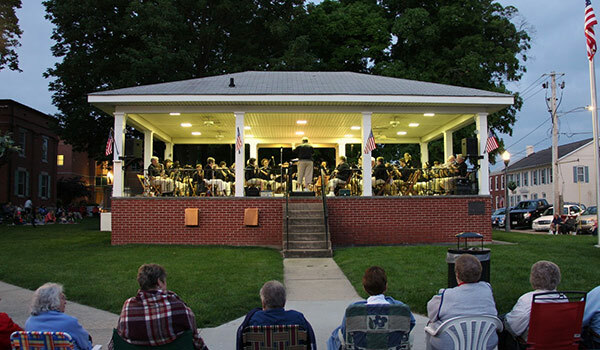 The Waterloo Municipal Band enjoys a long history in Monroe County. 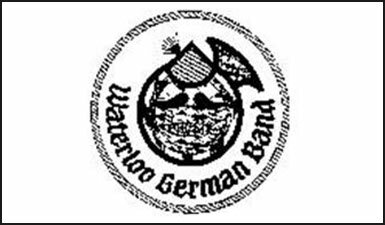 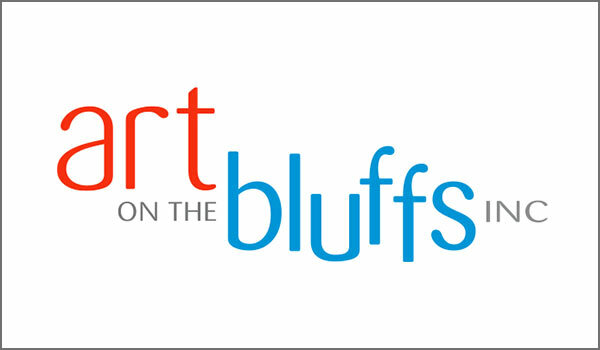 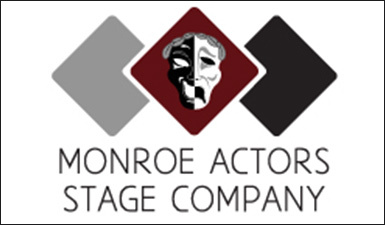 Founded in 1931 and supported by the City of Waterloo, the group is comprised of musicians from all walks of life – teachers, lawyers, bankers, retirees, students, and more. 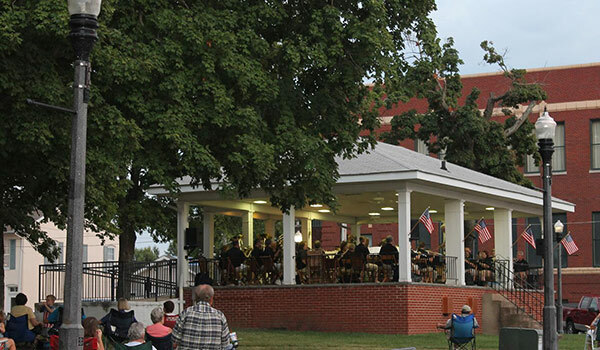 With a repertoire that includes marches, show tunes, standards, light classical, and even a little rock’n’roll, the Band performs regular Tuesday evening concerts through the summer at the bandstand on the Monroe County Courthouse lawn along with a few other special events throughout the year. 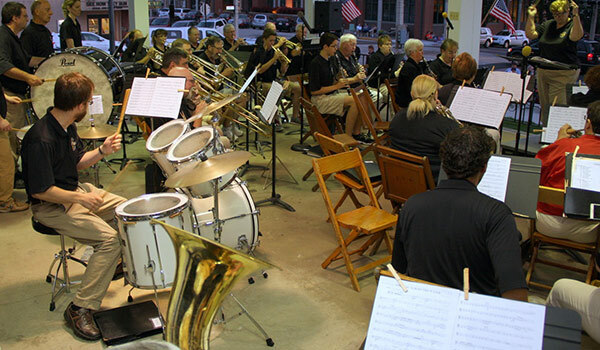 The concerts are a longstanding tradition in Waterloo, as is the Band’s signature concert finale, John Philip Sousa’s The Stars and Stripes Forever. 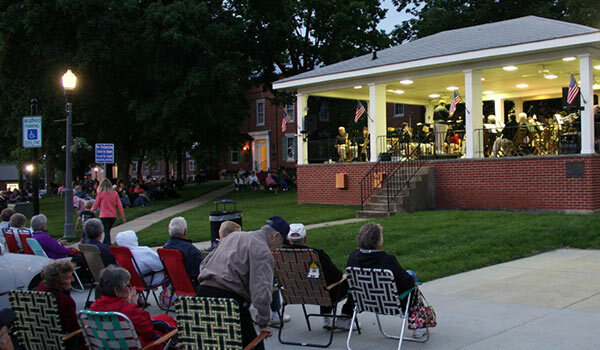 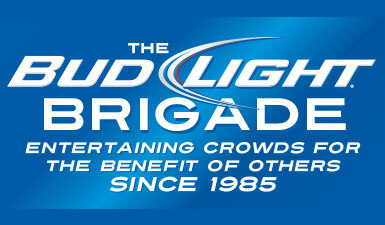 Rehearsals are held at City Hall on Tuesday nights during the off-season. 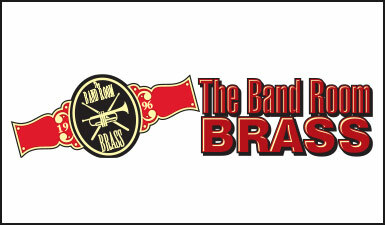 Musicians in 8th grade and beyond are welcome.